communicating the bigger picture to your team. We are my. 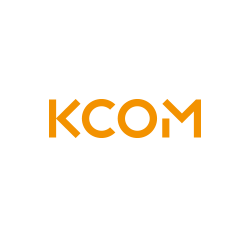 KCOM is a leading UK communications and IT service provider, connecting customers with the things that matter. Armed with a fresh new set of brand guidelines, the KCOM team wanted to rid their head office of their old messaging and bring their office interiors in line with the updated brand. Using the existing KCOM style, we developed office graphics to communicate the internal corporate messages to everyone working in the building. Creating an inspiring atmosphere across four floors, we designed, produced and fitted artwork for break out areas, meeting rooms, workspaces and hallways. For this project, we needed to use a variety of materials. Playful illustrations in the KCOM colour palette made particularly impactful window and wall vinyls and canvases printed with technology focused photography meant that staff were able to swap and change meeting room artwork easily. The project was a big success and we had lovely feedback from the client afterwards who was happy to let us know that both staff and visitors had given positive comments about the office branding.